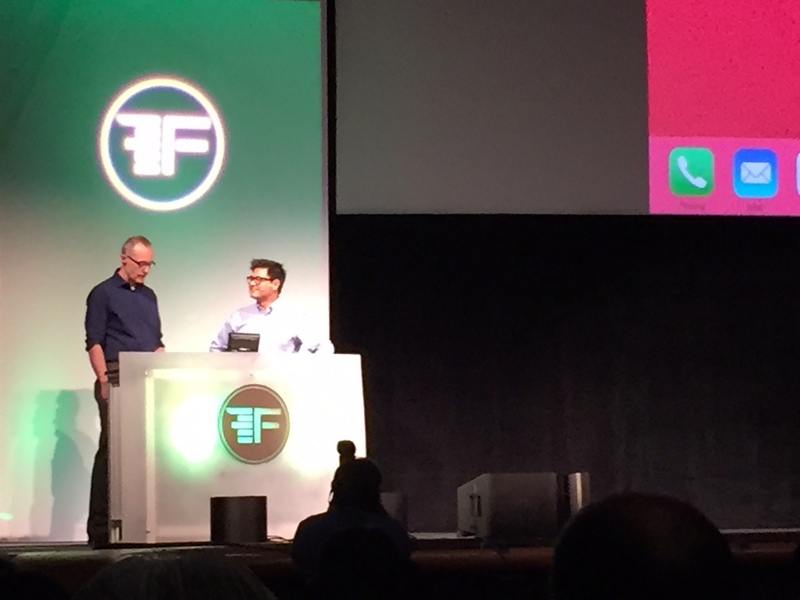 As I wrote recently in TheStreet, it’s been a big week for FinTech, with a number of funding deals – Affirm, Vouch, Credit Sesame and NerdWallet – announced to coincide with the industry’s big Finovate conference in San Jose. While you can read about who won the audience’s vote for best of show awards in lots of articles, I didn’t really agree with the list (which is more about popularity than impact), so I’ll share what I thought stood out as most compelling. Unlike presentations at Finovate, where founders had no more than seven minutes to present their ideas, I had the benefit of being able to select some of most compelling startups, and then spent between 30-60 minutes in a 1:1 with founder/CEO. Who really stands out in terms of innovation and having the potential for long term impact and relevance? I was most impressed by LendKey and Credit Sesame – and will say why here – but several others (Trizic, Wealth Forge, Hedgeable, NAMU & CUneXus) showed a lot of promise. LendKey’s vision is “lending as a service” – a white label solution for community banks and credit unions to provide online lending. It’s got a killer UX, and the product offers a “Kayak”-like shopping experience for loans. Unlike LendingTree, where you get redirected (and “offers” can easily turn into declines or result in price changes), LendKey is more like Uber for loans. One key difference is that you work with a brand you know – your bank or credit union (with one less login and your finances are in one place). You start at your bank’s site. But like using a travel search engine, you use sliders to adjust the amount you want to borrow (and other features). By using its dynamic pricing engine, you are shown a range products across the LendKey loan network (i.e. not just from your bank). The network matters, since sometimes banks will hit regulatory limits for certain products, so you may find a better deal at another institution. Smart play. I like its positioning – and working with incumbents (i.e. brands you may trust). It business can also scale (the US is fragmented with thousands of banks, so lots of partners). Backers like DFJ are wise, I think, to be invested in LendKey, which has around 100 staff mainly in New York, but also in Ohio, with plans to come to California. I would keep definitely an eye on LendKey. I’ll admit it. When I first saw Credit Sesame on stage making its 7 minute presentation, I didn’t get it. The aha moment just didn’t come that quickly. I thought they were like Credit Karma, with fewer customers – but I was completely wrong. After a sit down with Adrian Nazari, CEO of Credit Sesame, I left feeling they should have won Best of Show at Finovate. Having worked at Morgan Stanley within Global Wealth Management, I understood right away when he spoke of the difficulty of finding advice for the “liabilities” (credit) side of your balance sheet. People go to their FA for various reasons, but for nearly all segments, their advisors fail to help them with useful tools or ways to think about managing credit (or credit/investments in holistic way), since they generally focus on investments. “Should I take out a 15 yr mortgage or 30 yr and invest the rest?” or “What kind of mix of debt should I have now – and in 5, 10 and 15 years?” are questions people should have good answers for (and not just think of when they buy a house). 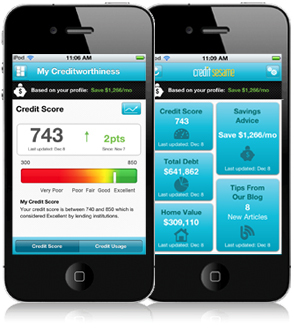 Credit Sesame has shown it can attract customers (6m today) with its free credit reports, and mobile solutions. But it is differentiated by its focus on product vs. traffic. The company has a compelling vision of what it can do for consumers, and wants to be a Product company, not just a traffic and referral business. Given Credit Sesame has found traction in the market, won numerous mobile and app design awards (and a Webby award), and has such a compelling vision for a gap in the market, it is no surprise to me that they announced new funding this week. While there will be innovation in credit from the likes of Affirm and Behalf, I think giving better information and helping us all to really manage the liability side is a huge opportunity – and I’m excited to think that Credit Sesame could actually deliver it. I also wanted to give a shout out to a few other companies I think had interesting solutions, and a strong management team. 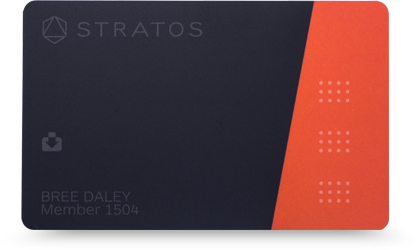 Look for more later, but standouts at Finovate this year were Stratos (multiple cards-on-one card with a strong software angle), CUneXus ( “digital direct mail” software to enable loan offers within an online banking site), Avoka (omni-channel solution enabling banks to reduce drop-off rates for transactions) and NAMU (mobile banking). I’ll also later talk more about MX and WealthForge (CapLinked plus workflow with an ability transact in a single platform, used by innovators like EquityZen and RealtyMogul). I thought I’d written enough on robo advisors, but want to say more after speaking with founders of Trizic (white label robo advisor that can be offered by banks) and Hedgeable (digital wealth platform with complex strategies, e.g. downside risk protection). Posted on May 15, 2015 June 1, 2015 by Michael Halloran	This entry was posted in Uncategorized and tagged Avoka, Credit Sesame, CUneXus, Finovate, Hedgeable, LendKey, NAMU, Stratos, Trizic. Bookmark the permalink.